Elks Run Watershed is working with SAFE WATERS Harpers Ferry to protect the water supply for Harpers Ferry and Bolivar West Virginia. Using Water Reporter, everyone can turn their observations throughout the watershed into meaningful data for this effort. What is the Water Reporter? Water Reporter is a citizen science app that lets everyone keep a pulse on our waterways. Use Water Reporter when you notice something that looks wrong or want to capture a moment that inspires you. We can’t always find a solution from one photo, but collectively we’re building a digital atlas of the health of Elks Run. Citizen Science has never been easier! All you need is your smartphone to make an impact on our waterways. 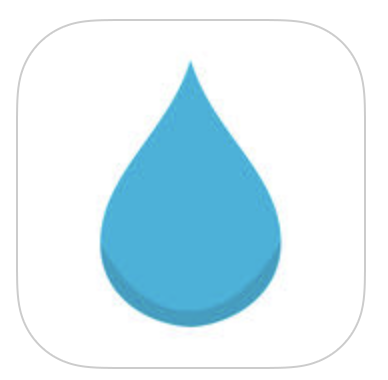 After you download the Water Reporter app from iTunes or GooglePlay, sign up for an account and join the Elks Run Watershed group. We need you to help us identify pollution hotspots and capture the beauty of the Elks Run Watershed as it travels through Jefferson County, Harpers Ferry, and Bolivar and on to the Potomac River. Why do we need YOU to use it? To help Elks Run Watershed identify pollution hot spots, mobilize volunteers, and capture the beauty of the Elks Run Watershed as it travels through Jefferson County, Harpers Ferry and Bolivar on the way to the Potomac River. What Can You Use it to Do? 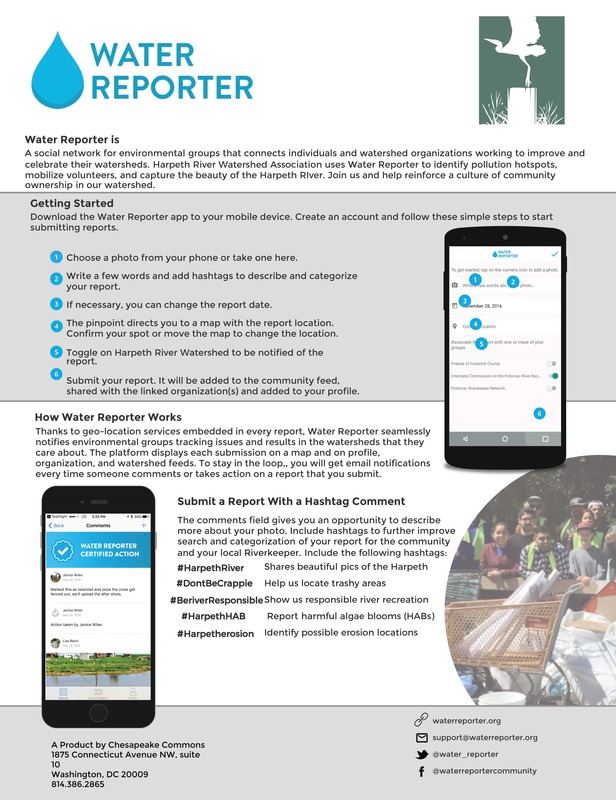 Water Reporter is an open, social, and interactive source which allows you to share your local observations with others, view what others are posting, comment on posts and issues, and create connections. Every time you use Water Reporter, you’re interacting with your whole watershed. Users can use the information on Water Reporter to organize stream cleanups, propel citizen science campaigns, and lead restoration efforts in their watersheds. Explore what our community has been sharing on our observation page. Sign Up & Start Reporting! Launch the app and you will be directed to the registration page. Enter a valid email address and choose a password. When you’re all done, tap “Sign Up” and join the rest of your community on the Elks Run Watershed. You may also download this one page cheat sheet on how to submit a report.